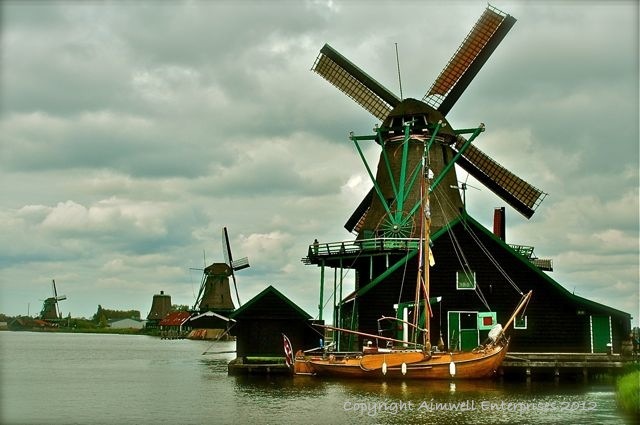 Zaanse Schans is a heritage-type park/museum with a collection of historic windmills as its focal point. I really enjoyed my afternoon spent at this atmospheric and beautiful tribute to Holland’s past. There were lots of terrific photo opportunities the results of which I am featuring throughout this blog. This entry was posted in Europe, History, Holland, Landscapes, Photography, Travel, Uncategorized and tagged Holland, Photography, spring, Travel, water, windmills. Bookmark the permalink.